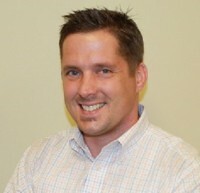 Matthew Enright, A.P., D.O.M. 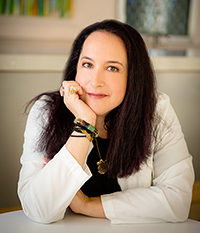 (FL) is a Doctor of Oriental Medicine and currently practices acupuncture in Boca Raton, FL and New York. Matthew is a wellness-driven acupuncture Physician with 13 years of experience serving diverse populations. His practice, with an impressive background offering integrative care for both acute and chronic conditions, emphasizes pain management, sports medicine, neurological disorders, women’s health issues, cosmetic acupuncture, and integrative oncology. Acupuncture Instructor, Division of Complementary & Integrative Medicine, University of Miami Miller School of Medicine. Anisha Durve is a Doctor of Oriental Medicine, Acupuncturist, Ayurvedic Practitioner, Ayur-yoga teacher, and meditation instructor with 20+ years experience. Anisha graduated in 2000 from the Southwest College of Acupuncture in New Mexico with a Masters of Science in Oriental Medicine degree and also interned at the Academy of Traditional Chinese Medicine in Beijing. She has worked in free clinics for Acupuncturists without Borders in Ecuador and Mexico. 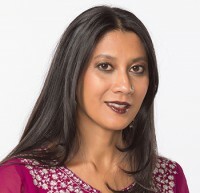 Anisha is the co-author of a clinical textbook on acupressure with Dr. Vasant Lad titled Marma Points of Ayurveda: Energy Pathways for Healing Body, Mind, and Consciousness, with a Comparison to Traditional Chinese Medicine. Visit her website at www.Anisha.Guru. Ilana Newman MD attended medical school at the University of Arizona, followed by a residency in family medicine at Beth Israel Medical Center in New York and a fellowship in adolescent medicine at Mount Sinai Medical Center in New York. During residency, she became frustrated with the limited treatment options she had for patients with back pain and started studying acupuncture at a program for physicians at UCLA. She also completed the NADA program’s ear acupuncture drug detox training at Lincoln Hospital in the Bronx. In addition, Dr. Newman worked as a medical news reporter on the Oxygen Network and on daily online video medical news reports while in New York. After moving to South Florida, Dr. Newman took the basic and advanced acupuncture courses for physicians at the University of Miami. Several years later, she completed a fellowship in hospice and palliative medicine at the University of Miami. She currently does inpatient palliative medicine consultations at the Memorial Hospital System in Broward County and teaches workshops on Korean Hand Therapy for self-treatment of pain. Tom Corbin is an acupuncturist with a specialization in auricular therapy. Dr. Corbin is a trainer for the Auriculotherapy Certification Institute, the only credentialing body in North America certifying proficiency in Auriculotherapy/ear acupuncture. Trained in the three major systems of ear acupuncture, Dr. Corbin has used this modality to treat Veterans in the first Acupuncture Clinic at a Veterans Hospital Chronic Pain Department. In addition to treating patients, Dr. Corbin was also the site acupuncturist for the largest research projects on the use of ear acupuncture for cocaine addiction. Tom Corbin has taught the auricular microsystem of acupuncture in Europe, Canada and the Caribbean. 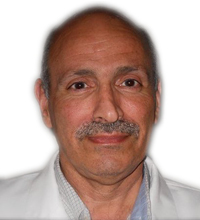 He currently teaches at the Atlantic School of Oriental Medicine, where he has been a professor since 1998. 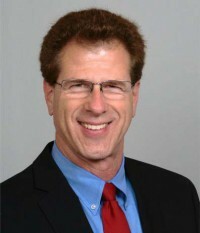 Dr. Corbin believes that course participants should learn techniques that will have an immediate effect on their practices no matter what their licensure or practice interests may be. Most course participants will find that this may be the most practical way to incorporate an integrative medical modality into their practice. Michael Kowalski, AP is a Florida licensed Acupuncture Physician and Founder of the Acupuncture & Holistic Health Center and the 5 Element Institute in Jacksonville, Florida. Michael earned his B.A. at Yale University and continued his studies in Worsley Five Element Acupuncture with Professor J.R. Worsley at the College of Traditional Acupuncture in England. After graduating he received a faculty appointment and began his private practice in the College’s Faculty Clinical. He has also provided acupuncture in Mayo Clinic Jacksonville’s Pilot Integrative Medicine Program. Michael Kowalski’s teaching experience includes serving on the acupuncture faculty of the College of Traditional Chinese Acupuncture in England and Worsley Institute of Classical Acupuncture in Miami, FL.